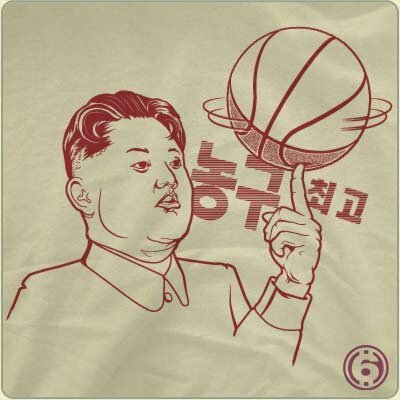 The pudgy Asian dude spinning a basketball on his hand is kind of funny just on the surface. Though, with the global expansion of the greatest game, this isn’t so odd looking. I mean if Raymond Felton can play in the NBA, this dude can star in the Korean Basketball League, even while wearing the attire of a Il dynasty lackey, and packing on 25 extra pounds. Wait, I think that’s Psy, maybe.